« Flashnews … Andrea Vigh on harp Concert – Gyula. The performance will be on for this night only! and in Italy (Padova and Rome). Now the goup is back and has grown to include 21 dancers and a brand new set design by Józsa Anka to show the audience in the production at the Sala Verdi Hall. 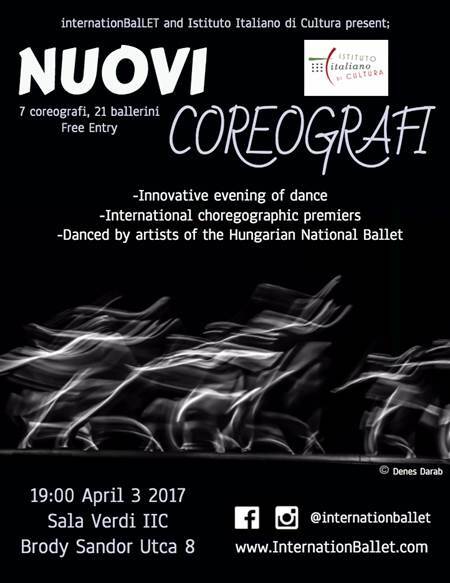 The 7 international choreographers will present new modern ballets, dancing by the 21 artists from the Hungarian State Opera. Entry is free of charge, but registration in advance is needed iicbudapest@esteri.it … Deadline date: March, 30.2017.